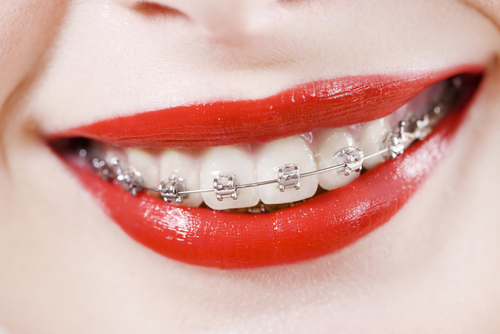 Today, adults wearing braces make up about half of all orthodontic patients in the United States. It is never too late for an adult to attain a healthier mouth, straighter teeth, and a perfect smile. The team at Dr. Jacquie Smiles are experts in braces for adults in NYC. Why adult braces in NYC? Misaligned or crooked teeth (malocclusions) affect our appearance and our self-esteem. In addition, poor dental and oral health care can be a contributing cause to a number of adult-related health care concerns in NYC. Improperly aligned teeth can cause problems chewing food, which may lead to gastrointestinal complications. Misaligned teeth and crossbites can trap food and increase the likelihood of plaque buildup. These conditions increase the chances of an adult patient developing gum disease and other more serious health-related complications (tooth decay, toothaches, earaches, and headaches). Dr. Jacquie Smiles understands the reasons why an adult in NYC may need to wear braces. They help each patient attain their treatment-outcome goals with sensitivity and compassion. Dr. Jacquie and the team at Dr. Jacquie Smiles provide braces for adults in NYC. If you have any questions pertaining to braces, clear braces, Invisalign, or Invisalign Teen in Manhattan, NYC, Woodbury, NY, Monroe, NY, Englewood Cliffs, NJ, or would like to schedule a complimentary consultation with Dr. Jacquie contact Dr. Jacquie Smiles at: (646) 781-8153.